If you are visiting this page, you probably are interested in comfort and relaxation. That’s why we here at Cedarwood Furniture have decided to make your online shopping experience just as relaxing as the quality outdoor furniture we offer. 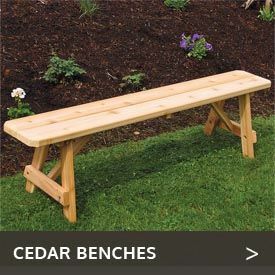 The Western red cedar wood outdoor lounging sets displayed on this page give you the opportunity to easily and quickly order a perfectly matched outdoor lounging collection that will give you everything you need for total comfort with just one quick click. No muss, no fuss: Just instant, quality outdoor furniture you can count on, delivered to you at your home or business. 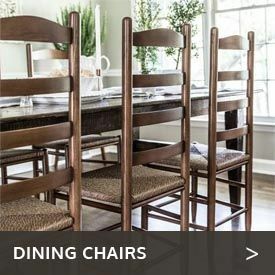 These items range from simple chair-and-table sets for enjoying snacks, coffee or other beverages on your porch or patio to more elaborate collections that team up settees, gliders, chairs, footrests and tables. We even carry cedar folding travel sets that let you take your folding chairs and table on the road. 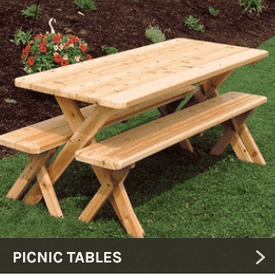 They’re great for stylish picnicking, camping or just about any other outdoor activity where you need sturdy but easily transportable outdoor furniture that will stand up to the elements. No matter which set you pick, you can count on years of outdoor enjoyment with it. Made in the U.S. of high-quality cedar with zinc-plated hardware, these sets are built to last.